Read Our More Recent Reviews! As always, Dr .Meckes and staff are friendly, efficient and do a great job. I recommend to anyone looking for a fantastic dental office and dentist. Thank you Dr. Meckes for being so kind and caring as to my dental care, and always taking time to care for my jaw during dental work. Your staff is amazing, warm and always helpful. Thank you!! As always my dental experience was the best. I don’t think you can find a better group. When I go to the dentist it is like visiting dear friends. I would recommend Dentistry on the Island to one and all. Total Quality Service, Friendly and Professional. The best experience I have ever had. Like family. Love Dentistry on the Island. Once again I received Excellent Service from Terry and the gang at my favorite dentist in the world! Who knew that going to the dentist could be fun?! I appreciate everyone at the office for always being on top of things for me. And the emails that remind me of appt in plenty of time-A great service! Thanks! I have always had a good experience with all of the staff here. They are friendly, considerate and very accommodating, as well as competent in what they do. Just completed another very pleasant visit to Dentistry on the Island. The staff is always super friendly and most importantly very professional. The staff is very friendly and they do excellent work. The hygienist is very thorough. 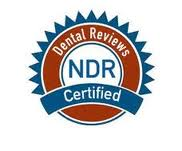 Mark is a wonderful dentist and always takes care of our families dental needs and concerns. This is a well run office with an excellent staff. We continue to go back to them even after we moved away ..(30 Min. Drive) I highly recommend this Practice. Going to the dentist is not a fun thing. However, Dentistry on the Island is an Exception. Friendly Staff and caring dentist, very professional. Highly recommend Dr. Meckes.